Avail from us an assorted collection of Side, Rear, Number Plate, Blinker Bulbs which are used in varied Automobiles. The offered product is checked and analyzed on well defined parameters, before it is finally delivered. Importer & Trader of Miniature & Sub-Miniature Bulbs. Our product range also comprises of CLEO, Dental Lamps and Diagnostic Lamps. Elango Auto Electrical Works, We deal in all kinds of miniature bulbs suitable for tail lamp, side lamp, parking lamp, meter bulbs, marker lamp etc. We deal in complete range of automobile Halogen Bulbs, such as H1, H3, H4, H7, H11, H27, 9005, 9004 etc. The Automotive Miniature Bulbs, that we offer, are designed as per the set industrial standards. We are renowned as one of the prime Automotive Miniature Bulbs Manufacturers and Suppliers in Delhi (India). The Automotive Miniature Bulbs are provided by us at the most competitive prices. United India Lighting System Pvt. Ltd.
- We are the first, offering miniature 6.2V 0.3A and 16.3 V, 0.3 A bulb with one year replacement guarantee. - Replacement of bulb will be given within one year from the date of purchase even the bulb is fused, gased, blackened, excluding breakage. - The bulb is manufactured with heavy glass and sturdy filament which result in long life to the bulbs, thus no headache of maintenance. 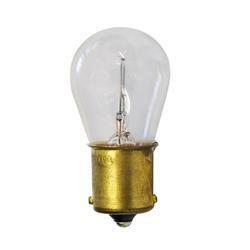 We deals in all types of Head Light Bulbs & Miniature Bulbs for the Halonix. Offering a all tyoes of torch bulb such as miniature bulb, mine bulb, rechargable torch bulb etc.